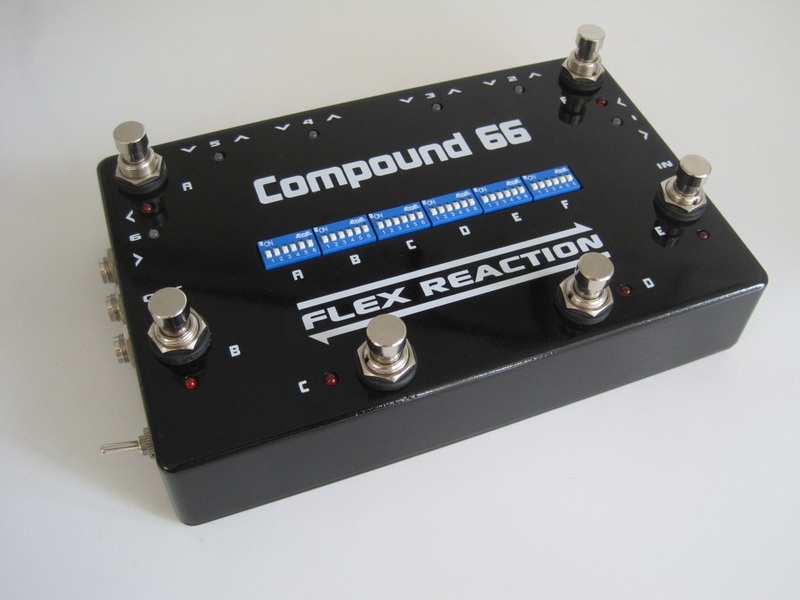 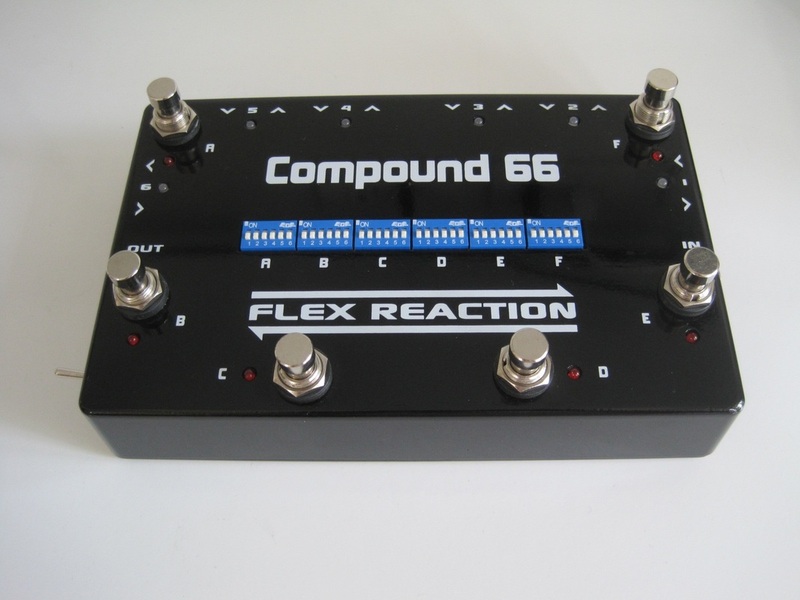 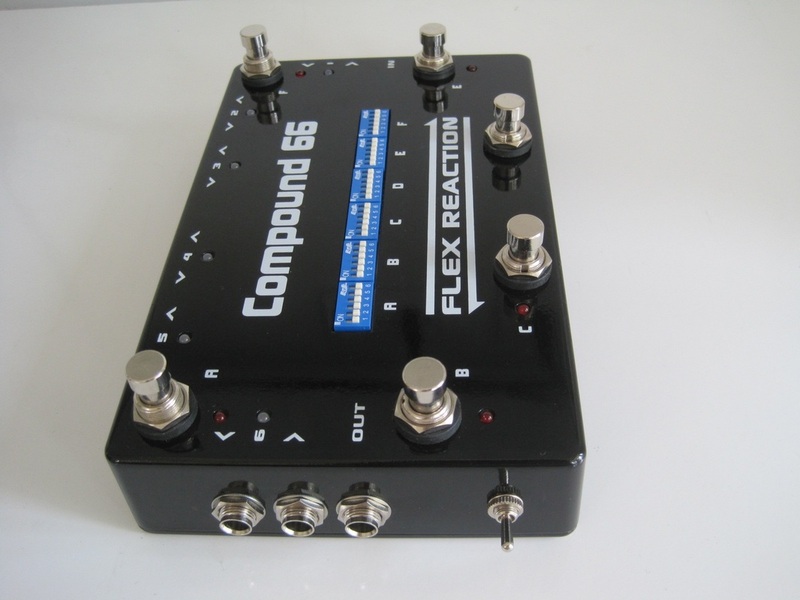 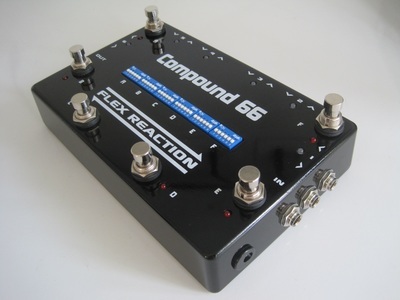 Flex Reaction Compound 66 is a 6 Loops 6 Channels Programmable Loop Switcher in Boutique Style 1590DD Box! 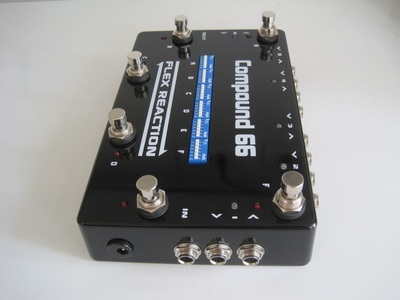 Professional guitarists care much about sound quality. 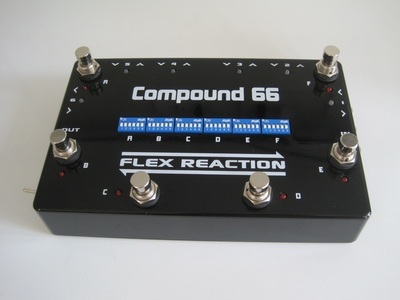 They have great guitars, great amps, great pedals, and great cables. However sometimes they don’t get good enough tone when they connect all pedals in the chain on their pedalboard. They may think that it sounds NOT as good as just connecting their guitar directly into the amp ! 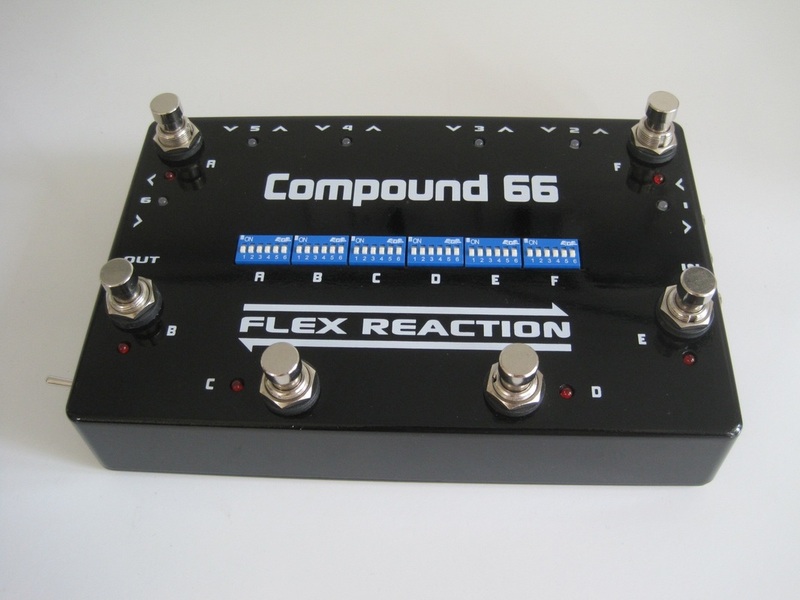 Using good buffer may help a little bit but actually it depends on many things such as how many pedals, what kind of pedals, how many true bypass pedals, how many buffered pedals, what patch cables & what length, any good buffer in the chain, etc. The variations are such many things. 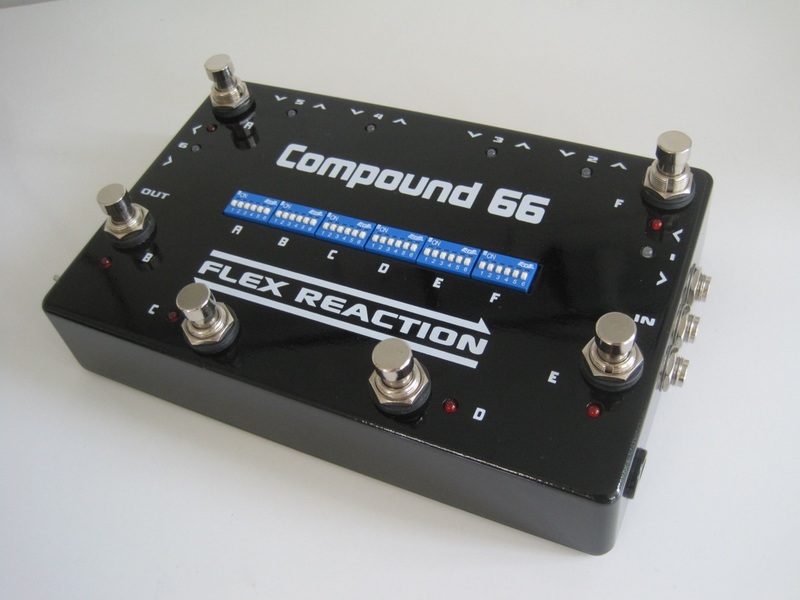 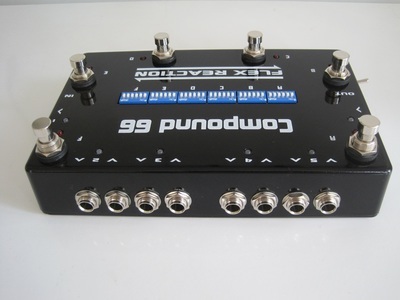 This compound 66 has 6 loops & 6 Programmable Channels. 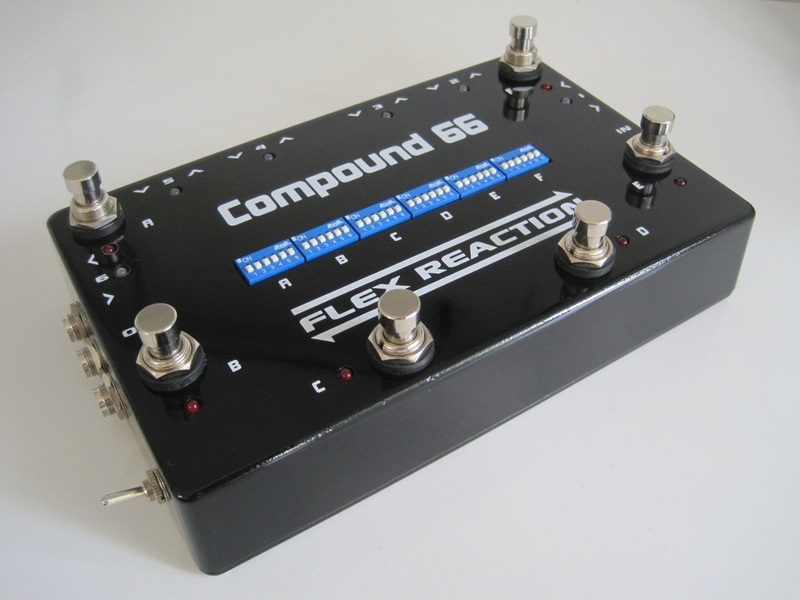 You just plug your chosen effect pedals into the Send and Return socket Loops. Signal flows from input to loop1, loop2, loop3, loop4, loopp5, loop6, and output. 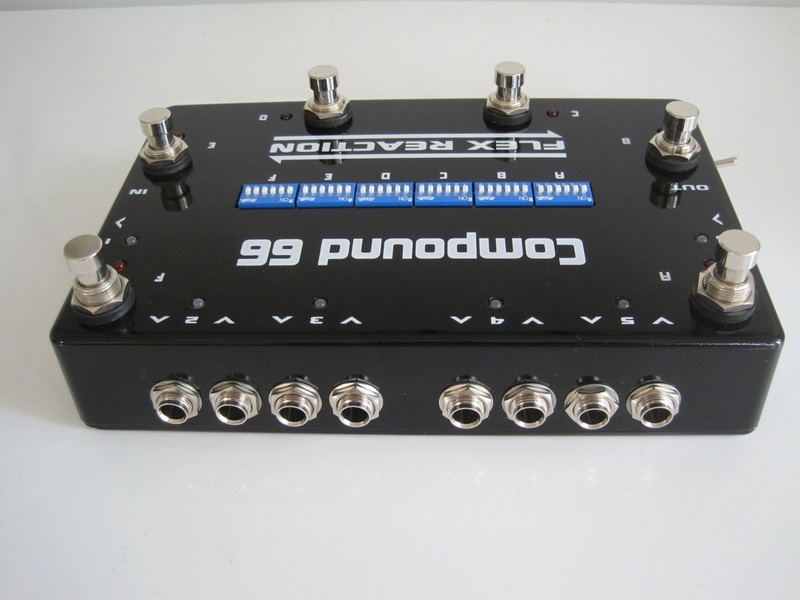 You can turn on or off in numbered switches in each of six DIP Bank switches. 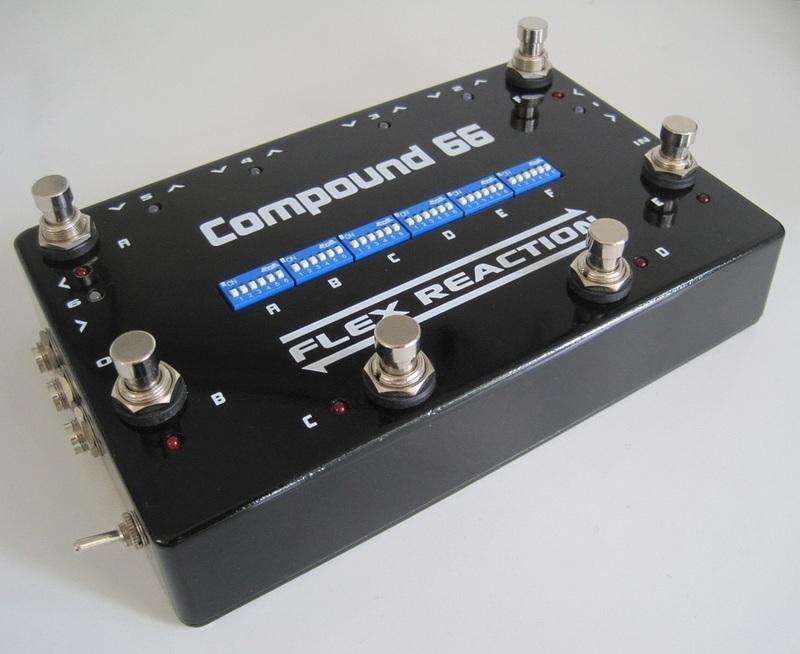 Just determine which effect you want to use simultaneously in each Channel.